A crafty hitter and disputatious competitor, Jesse Burkett won three National League batting titles from 1895 to 1901 before finishing his 16-year-career in the American League with a lifetime .338 batting average. Twice a .400 hitter, Burkett stands larger in the record books than he did in real life. Upon his election to the Hall of Fame in 1946, one writer called the left-handed Burkett a "terrible and fearsome foe," adding, "We've often wondered what he would have done had they used in his day that rabbit ball with which Babe Ruth set his records." But the 5'8", 155-pound Burkett bore a closer resemblance to Willie Keeler than Ruth, and his offensive accomplishments owed themselves to finesse, not brute strength. Like contemporaries John McGraw and Roy Thomas, Burkett was a master at fouling off pitches, and was thought by many observers to be the era's greatest bunter. Of his 2,850 career hits, nearly 80 percent were singles, hardly the mark of a powerful slugger. On and off the field, "The Crab"--as his Cleveland Spiders teammates dubbed him--was cranky and unsociable, prone to challenging opponents with his fists and insulting fans and umpires with strings of expletives so creative that sportswriters of the day could only reprint his repartee by omitting all the bad language, which usually made his harangues incomprehensible. In 1906, one publication rendered a Burkett tirade this way: "Why you blank, blankety blank, do you know what I think of you? I think you are the blankest blank blank that ever came out of the blank blankest town in the blank blank land. You ought to be put in a museum." Burkett's most notorious achievement may have come in 1897, when he was ejected from both ends of a doubleheader. Jesse Cail Burkett was born on December 4, 1868 in Wheeling, West Virginia, the oldest of two sons of Granville and Eleanor Burkett. Throughout Jesse's childhood Granville worked a variety of jobs to support his family, including stints as a day laborer, painter, and repairman on the Wheeling Suspension Bridge, which was at one time the longest suspension bridge in the world and the first to span the Ohio River. As a young boy, Jesse learned to swim in the river, and was on hand one afternoon in 1881 when a little girl fell off a skiff into the currents. Jesse quickly dove into the water and began scouring the muddy bottom in a desperate attempt to find her. "Finally one of my hands touched her," he later recalled, "and I brought her to the surface. Her heart was still beating but they couldn't bring her to." More than 70 years later, the memory of the girl's death still brought tears to the eyes of the typically brusque, unsentimental Burkett. His first success on the diamond came on the pitcher's mound, where he won plaudits pitching for local town teams before signing a contract with Scranton of the Central League in 1888 for $85 a month. After spending one season with the Miners, the southpaw was signed by Worcester of the Atlantic Association on the recommendation of fellow Wheeling native and star major league shortstop Jack Glasscock, who was also rumored to be Burkett's distant cousin. Actually, Burkett, with his piercing blue eyes, slender frame, and light, reddish hair, closely resembled Glasscock, a fact which hecklers delighted in reminding Burkett of, much to the ire of the temperamental star. Burkett enjoyed a banner season with Worcester in 1889, leading the league with 30 wins and 240 strikeouts while batting .267. Although he only played one year in Worcester, Burkett's experience in the city proved so enjoyable that he would call it home for the rest of his life. At season's end, Burkett's contract was acquired by the Indianapolis Hoosiers of the National League, then managed by Glasscock. But the Indianapolis franchise folded prior to the start of the 1890 season, and Burkett's contract was picked up by the New York Giants. Going into the season, the young lefthander hoped to join the Giants' stalwart pitching staff, which already included an 18-year-old Amos Rusie and 30-year-old veteran Mickey Welch. But Burkett struggled on the mound, winning just three games against ten losses while posting a miserable 5.57 ERA. Fortunately for Burkett, he hit well enough to gain a starting job in right field, and finished the season with a .309 average in 401 at bats. 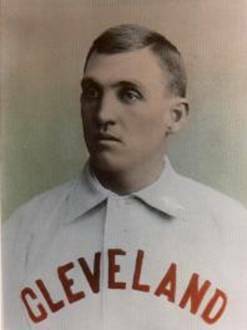 With the collapse of the Players League at the end of the 1890 season, competition for jobs in the National League became stiffer, with the result that Burkett was squeezed out of New York and picked up by the second-division Cleveland Spiders prior to the 1891 campaign. Burkett struggled initially in Cleveland, finishing the season with a .269 batting average in part time duty. But as the decade progressed, Burkett steadily improved his production at the plate, raising his batting average every year from 1892 to 1896. Beginning in 1892, Burkett was also shifted from right to left field, where he would remain for the rest of his career. Never more than average defensively thanks to limited range and a weak arm, Burkett was at first considered incompetent in the field. One observer later declared his clumsy defensive play "was as awkward as the bovine in a china shop on any kind of ball." But, the reporter hastened to add, "constant practice and familiarity with the position eradicated the weakness and Burkett, while by no means a star, is today one of the most consistent outfielders in the major leagues." Perhaps, but Burkett never accumulated many outfield assists during his career, and three times led all outfielders in errors. Cleveland manager Patsy Tebeau was more than willing to put up with Burkett's defensive struggles, thanks to his stellar offense. After raising his batting average from .275 in 1892 to .358 in 1894, Burkett really hit his stride in 1895, when he captured his first batting title with a .409 average. Burkett's offensive explosion came via a sudden barrage of singles. Never ranking among the top five in doubles, Burkett became the best singles hitter in the game in 1895, thanks in large part to his improved bunting technique, the result of constant practice. "Burkett seldom failed to drop a bunt just where he wanted to," one reporter later remarked. "He could lay it down either side of the plate, stop it dead if need be or drag it as the occasion required." In fact, Burkett became so good at laying one down that at least one knowledgeable observer, longtime scout Frank Shaughnessy, thought Burkett was the greatest bunter who ever lived. Additionally, in the era before fouls counted as strikes, Burkett became a master at fouling off pitch after pitch until he found an offering to his liking, or worked a walk (he ranked among the league's top ten in free passes 12 times during his career). Indeed, as one commentator later observed, Burkett seemed to take special pleasure in fouling off tough pitches: "He would do a snappy little jig after tipping off a good pitch, or snapping one on a low line into the left field section of the grandstand or the left field bleachers, very well pleased with himself." But the hot-tempered, sharp-tongued Burkett could also become easily unsettled by opposing players, fans, and umpires who delighted in getting his goat. New England sportswriter Dan Parker, who watched Burkett play in the New England League following the end of his major league career, remembered an incident when Burkett came into the game as a pinch-hitter and was asked by the umpire who he was batting for. Burkett responded, "None of your blankety blank business." The umpire, Red Rorty, then turned around and announced to the crowd, "Burkett batting for exercise." A red-faced Burkett proceeded to strike out, much to the delight of the crowd. During his major league career, Burkett was once benched for throwing a baseball at a crowd of hecklers in the stands. On the field, "The Crab" was regarded by many as the meanest player on the infamously rowdy Cleveland Spiders, "and Crab Burkett's claws were in every rhubarb," one writer recalled. "Even when he was hitting .400, he played ball with a perpetual scowl." On August 4, 1897, the Spiders were forced to forfeit the opening game of a doubleheader to the Louisville Colonels after Burkett refused to leave the field following his ejection from the game. In the second game of the doubleheader, Burkett was again ejected for arguing with the umpire, who then called two policemen to have Burkett forcibly removed from the grounds. Despite such incidents, Burkett continued to excel as one of the game's best hitters. He won a second consecutive batting title in 1896 with a .410 batting average and 240 hits, which remained the major league record until Ty Cobb collected 248 safeties in 1911. In 1899, Burkett finished second in the batting race with what was believed to be another .400 season, but subsequent research downgraded his batting mark to .396. His performance that year marked his first in St. Louis, following his transfer along with most of his teammates from the doomed Cleveland franchise. In 1901, Burkett captured a third batting title with a .376 mark for the Cardinals, and also led the league with 142 runs scored and a .440 on base percentage. His ten home runs, a career high, ranked third in the league. Nearing the age of 33, Burkett decided in October 1901 to jump to the newly-arrived St. Louis Browns of the rival American League in 1902. While the change netted Burkett a heftier salary, it also hurt his batting, as his average slumped to .306, the last time he would bat better than .300 in the major leagues. Despite his lowered average, Burkett remained an effective hitter. In 1903, he batted .293 and ranked fourth in the league with 52 walks. When his average dipped further in 1904, the resourceful Burkett responded by placing second in the league with 78 free passes, and his .363 on base percentage was fifth best in the circuit. Along with his reputation as a great hitter, it was a performance good enough to allow the Browns to trade Burkett to the Boston Americans at the end of the season for George Stone, who would briefly emerge in 1906 as one of the game's best hitters. Burkett, on the other hand, was nearly finished. Playing in 148 games for Boston in 1905, Jesse batted just .257. Combined with his ability to get on base, it was still an above-average offensive performance, but for Burkett it marked the end of his major league career. The move to Boston had brought Burkett closer to his home in Worcester, where he lived with his wife, Ellen McGrath, and their three children. Despite his cantankerous personality, Burkett had always been sober in his habits and careful with his money. In 1906, he purchased a franchise in the New England League and moved it to Worcester, where he became the new team's manager and best player. In his first year, he won the NEL batting crown with a .344 average and guided Worcester to the first of four consecutive pennants. After selling his ownership in the franchise, Burkett became the head coach at Holy Cross in 1917, remaining in that position through the 1920 season, when he accepted a coaching job with John McGraw's New York Giants. Burkett, as caustic as ever, proved unpopular with the Giants players, who voted not to give Jesse a share of their winnings when they won the Fall Classic in 1921 and 1922. Burkett's most notable assignment during his tenure with the Giants was to chaperone the club's alcoholic pitcher, Phil Douglas, to ensure that he didn't get into any trouble. Burkett completely failed at this task, as Douglas succeeded in escaping from Burkett in 1922 and embarking on a drinking binge that landed him in a sanitarium. Following his stint with the Giants, Burkett returned to the minor leagues, where he managed the Worcester entry in the Eastern League in 1923 and 1924 and Lewiston of the New England League from 1928 to 1929. During the Great Depression he worked occasionally as a scout and spring training instructor, while also holding down a job with the Massachusetts State Highway Department. He was hospitalized in 1935 after being struck by a car while directing traffic in Southbridge, Massachusetts, though he eventually recovered. Ever with a chip on his shoulder, Burkett felt he had been forgotten by the game he loved. After his election to the Hall of Fame in 1946, Burkett told a reporter, "It took them a long time and I thought they weren't going to because everybody had forgotten me." Still unsparing in his judgments, even when it came to members of his own family, Burkett also told reporters that his greatest disappointment was that his son, Howard, who spent several years playing in the minor leagues, never reached the majors. "Curveball pitching is what beat him," Burkett told the New York Herald Tribune in 1947. "They never could get curves past me, but I guess the boy just didn't have the knack." Jesse Burkett died of heart disease on May 27, 1953, at the age of 84. He was buried in St. John's Cemetery, in Worcester.